Here at National Geographic Kids, we love learning about dinosaurs! To find out all about our planet’s prehistoric beasts, we caught up with dino-expert and palaeontologist Steve Brusatte. Steve worked with the team on the mega movie Walking With Dinosaurs: The 3D Movie. National Geographic Kids: Hi Steve! Thanks for answering our questions. What do you think are the most important dinosaur discoveries of the century? 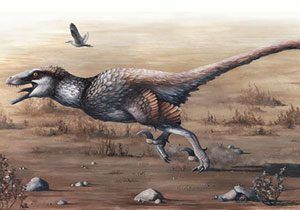 Steve Brusatte: I think the most important dinosaurs that were found over the past two decades are all of the feathered dinosaurs from China. 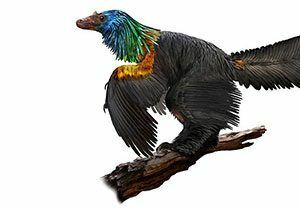 Feathers are the primary evidence that birds evolved from dinosaurs – we now have tens of thousands of fossils of real dinosaurs covered in feathers. If you watch Walking With Dinosaurs: The 3D Movie you”ll notice that some dinosaurs have feathers – and that”s a pretty new way of looking at dinosaurs! NGK: How can you tell that dinosaurs had feathers? Steve: You find the feathers themselves! It”s incredible if you think about it because feathers are not easy to preserve. Normally we only get fossils of bones and shells – things that are very hard. It’s very rare to get preserved muscles, skin, organs or feathers because those soft parts decay very quickly after an organism dies. In order for those to be preserved you need a perfect setting – they need to be buried very quickly so that they don”t decompose. NGK: Wow! Do you know the reason why dinosaurs became extinct? We’ve heard different theories. Steve: That”s the big question! It”s a question that people have been debating since the first dinosaurs were found. We do know for a fact that 66 million years ago a big asteroid or comet did hit the planet. We think it was 6 miles wide and hit Mexico. That certainly had something to do with the dinosaurs being wiped out. However, back then, there were big volcanic eruptions and temperature changes happening all the time which may also have contributed to their extinction. NGK: Do you have any favourite dinosaur facts? 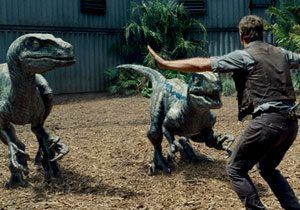 Steve: Well, did you know that the T-Rex is more closely related to a sparrow than it is to the triceratops? The other thing that is pretty cool is that the T-Rex lived 66 million years ago whilst the stegosaurus lived 150 million years ago. So T-Rex lived closer in time to us than to stegosaurus – astounding, isn”t it? NGK: We didn”t know that! We”ve read recently about scientists working to bring an extinct frog back to life. Do you think we’ll ever be able to do the same for dinosaurs? 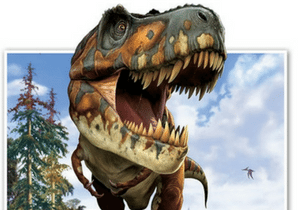 Steve: I don”t think that would be a good thing – we don’t want a T-Rex rampaging around! Dinosaurs have been dead for over tens of millions of years – their world has gone, along with the eco systems they inhabited, and the plants and animals they ate. Also, dinosaurs died so long ago that their DNA has degraded. We can find little bits and pieces of it but you need a whole gene to clone something. NGK: How many dinosaur species do you think are yet to be discovered? Steve: Approximately twelve hundred different species of dinosaurs have been found to date. There are probably at least that many still to be discovered. At this point in time, somebody somewhere around the world finds a new species of dinosaur about once every week, which is incredible. NGK: Wow! We know you worked on Walking with Dinosaurs: The 3D Movie. What do you particularly like about the film? Steve: Walking With Dinosaurs: The 3D Movie has created what are probably the most realistic portrayals of dinosaurs that I”ve ever seen. The film portrays dinosaurs how I think they would have looked if we could see them walking around today.